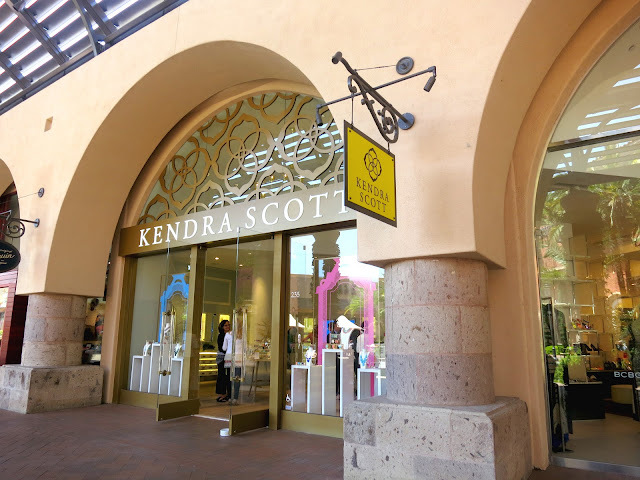 On a nice sunny SoCal day, I had the lovely privilege of attending the grand opening of the Kendra Scott Boutique at Fashion Island, Newport Beach. When you walk into the store, everywhere you turn there is a new color section with drawers filled with so many jewelry options. Red, orange, yellow, green, blue, purple? They had it all and more! 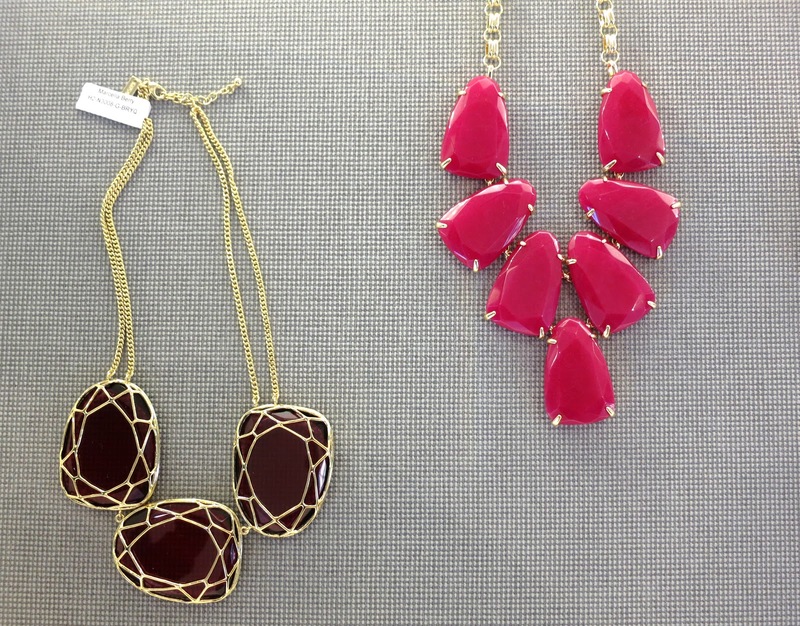 Now who doesn't love a good statement necklace? 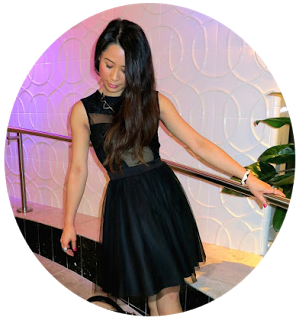 I can totally see these versatile pieces being worn with a maxi dress and even a casual white tee. If you're into the coral obsession this season, don't worry. They've got you covered with a variety of jewelry choices to choose from. 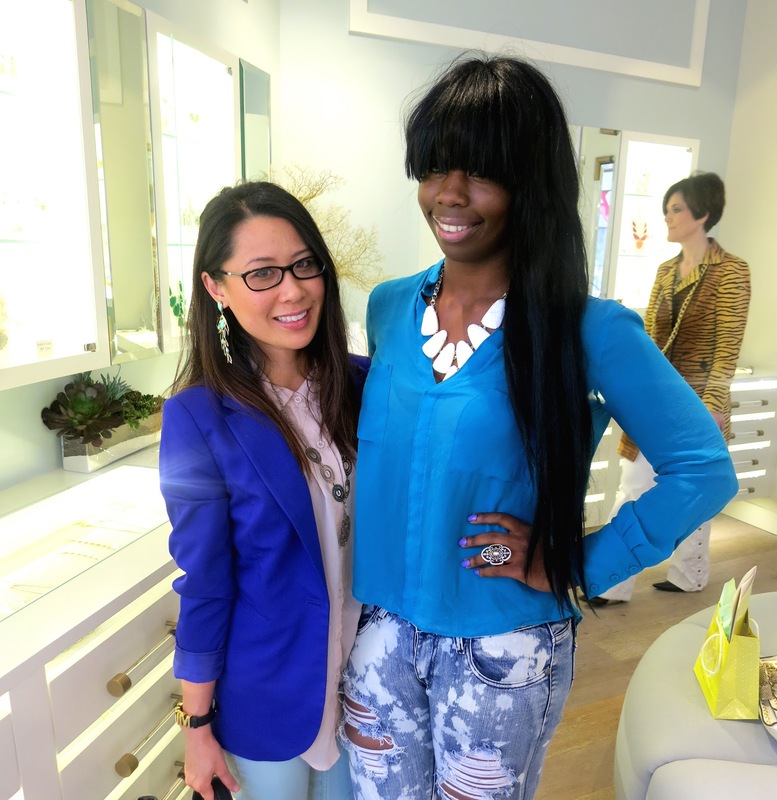 Sporting some Kendra Scott jewels with the lovely Carnetta from Carnetta Sheffield ~ a total sweetheart! 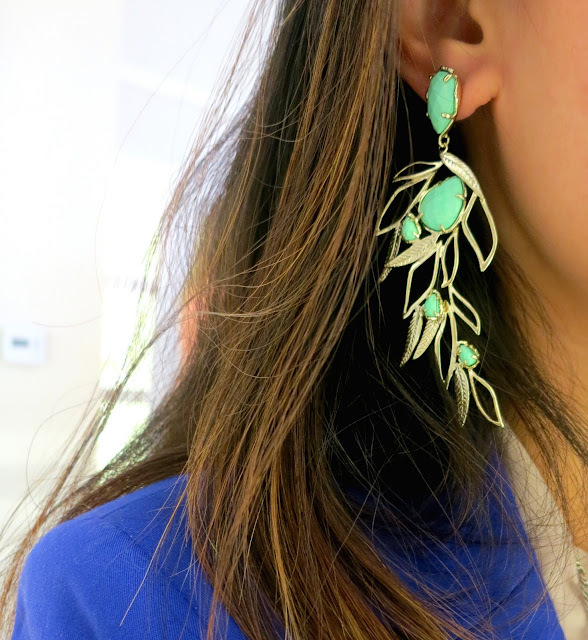 This incredible earring caught my eye from afar and I just had to try it on! It was definitely one of my favorite pieces from the store. Isn't it just a beautiful piece of art? 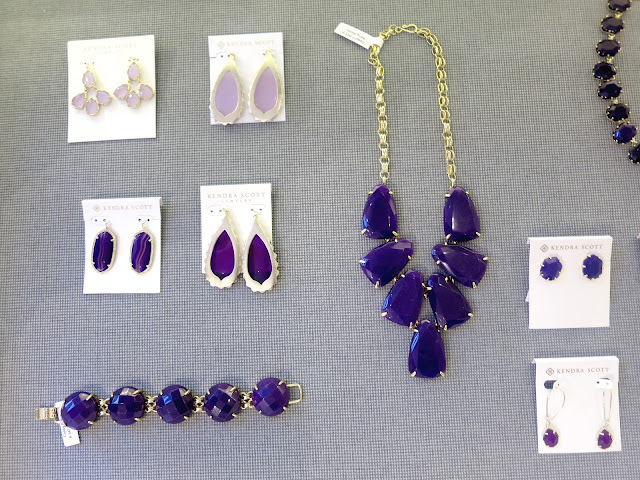 Fun fact: I love purple and sometimes, it's hard to find good-quality jewels. 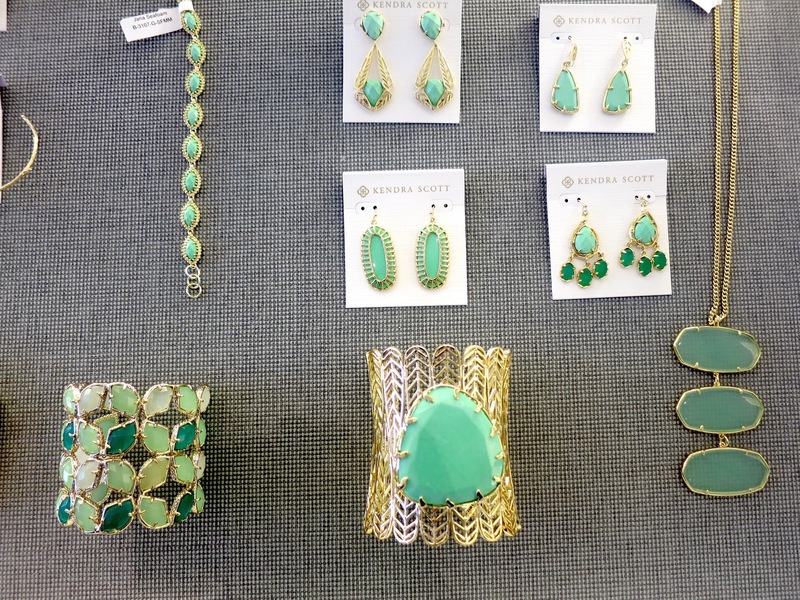 However, here at Kendra Scott boutique, everything is nicely laid out and easy to see what's available. Another favorite of mine? This coral and gold cuff. Totally blinging it and makes for a great standout piece with any outfit! A peek at the Abalone Isle collection featuring exotic shells in ocean hues, oh my! I think I need to go back to the store and get this fabulous bracelet to add to my jewelry collection. 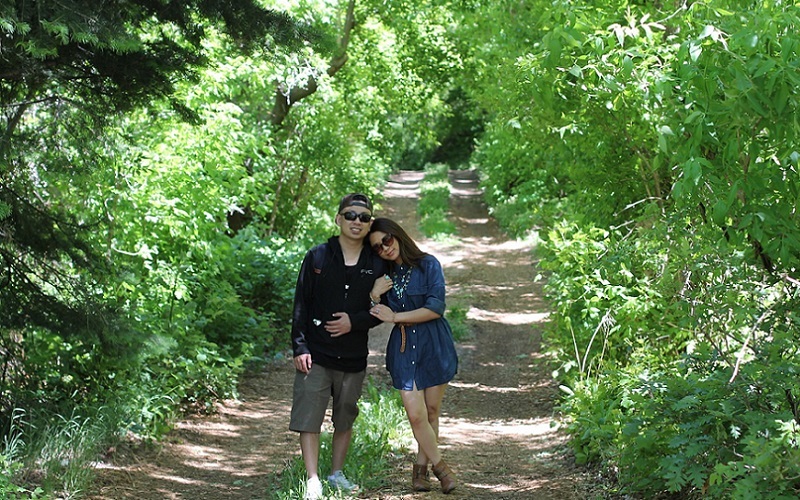 Pictured here with the talented designer behind it all. 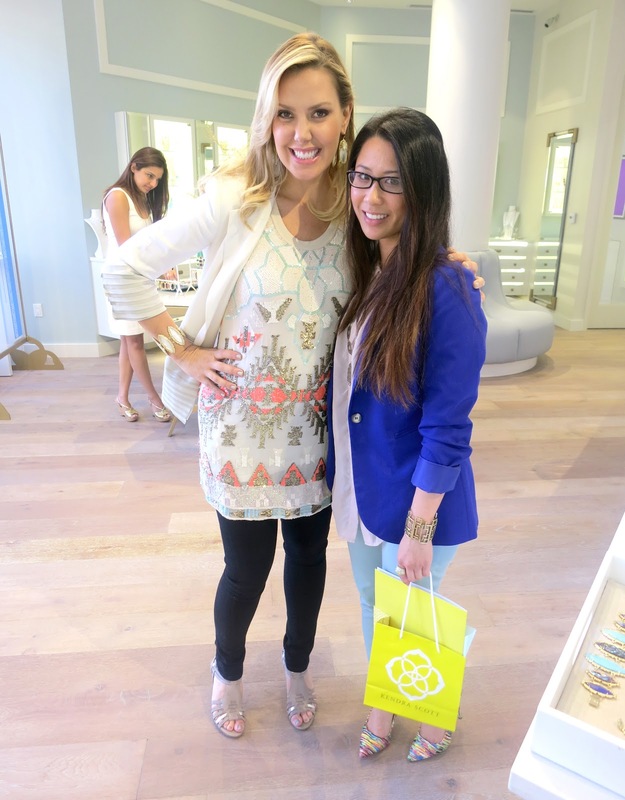 Thanks Kendra for showing me your beautiful collections and so excited you're now in the OC! 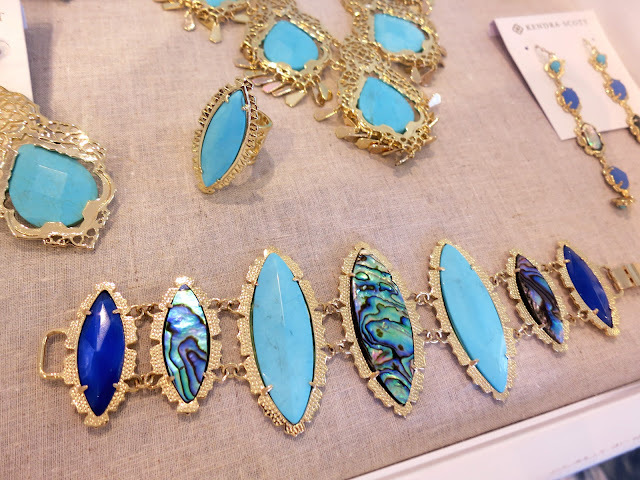 Want to know one of the BEST things about Kendra Scott's unique boutique? Its own customizable Color Bar, a place where you can make your very own one-of-a-kind jewelry pieces! 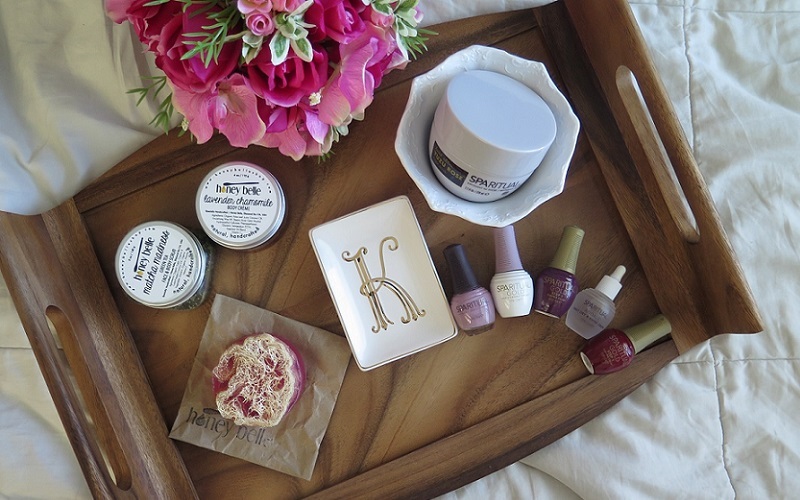 In 3 easy steps you can create a statement accessory in a matter of minutes. How awesome is that? Trust me - this is the perfect one-stop shop for all your jewelry needs! Go ahead, I dare you to take a look for yourself and see why everyone who's been here has fallen in love with Kendra Scott's boutique. Have fun shopping and maybe I'll see you there too! P.S. 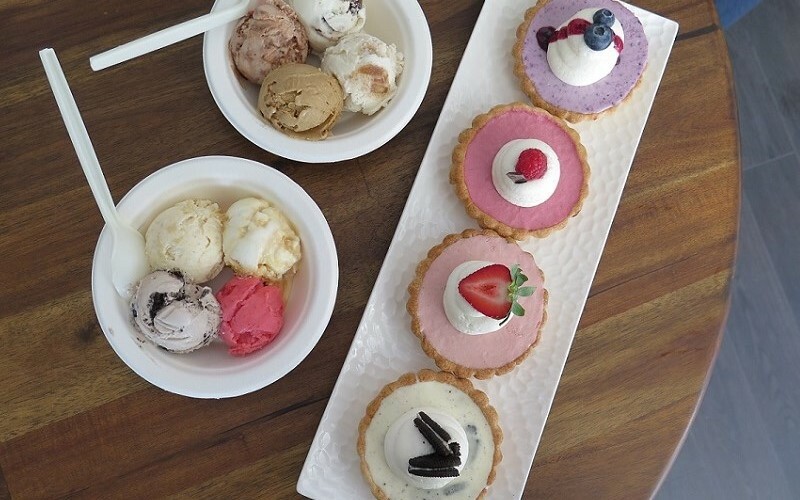 Every Wednesday they have a Girls Night Out event from 3pm-close. Contact the store for more info and to book your next event there! P.P.S. Don't live in Orange County? Don't worry. 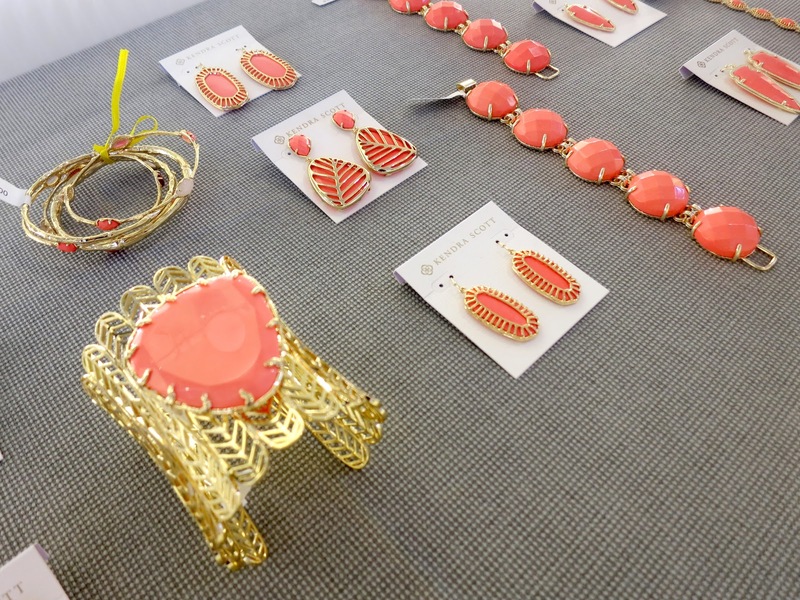 Click here to see if there is another Kendra Scott boutique near you.